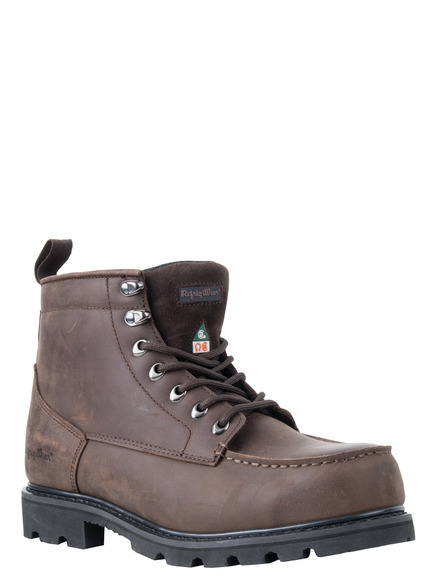 A classic style with classic construction, the RefrigiWear Moc-Toe Boot is a tough and stylish leather work boot with protection down to -10°F thanks to 200g Thinsulate insulation. 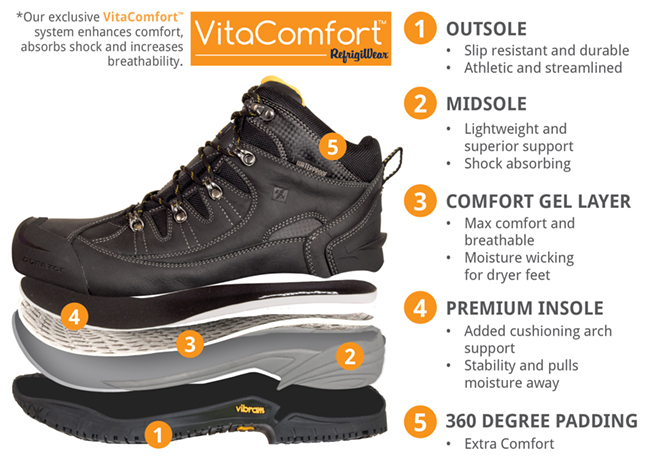 You get added safety with a puncture resistant plate, making the boots CSA Approved, plus a Vibram® Montana outsole with IceTrek® providing anti-slip protection and electrical hazard compliance. 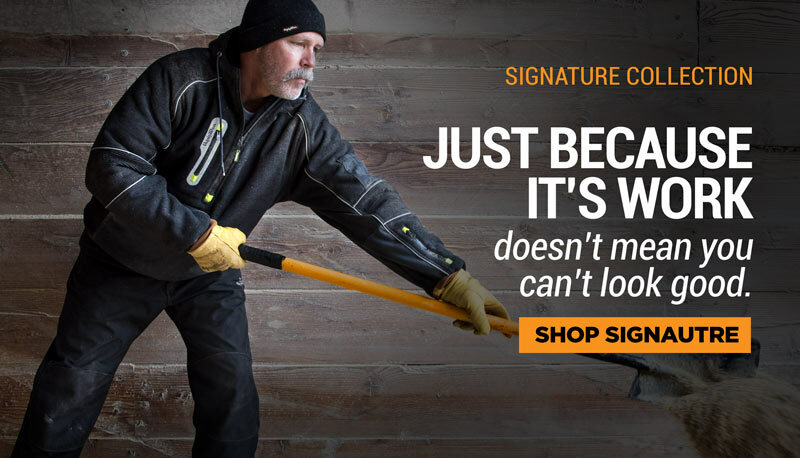 Stay protected from the elements with the waterproof leather upper. Features the exclusive RefrigiWear® VitaComfort® moisture management and padding system.